Editor’s note: This story has been updated to include the building affected by the emergency water outage. UPDATE: Water service was restored to the affected areas at 9:20 p.m. Wednesday, Aug. 8. More details can be found at http://www.erwsd.org. 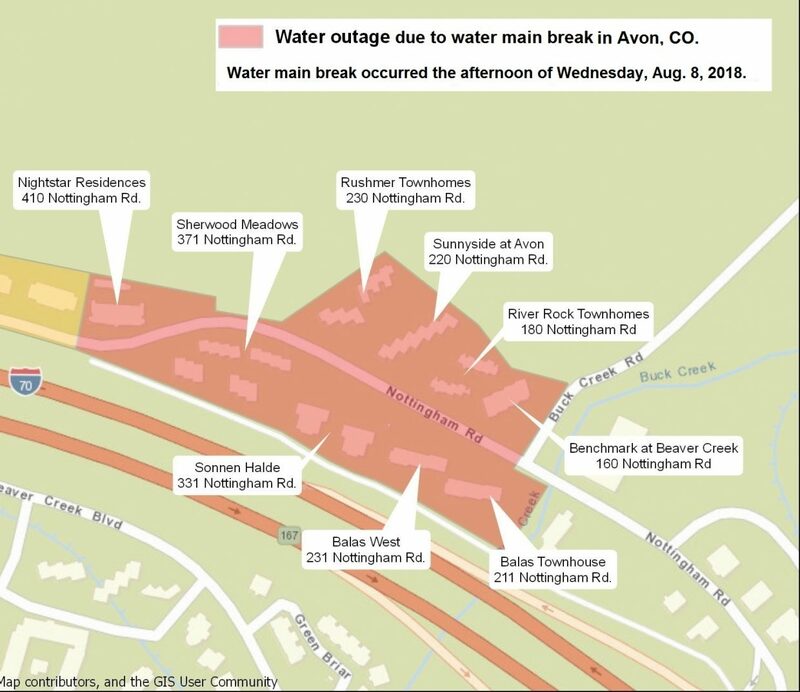 AVON – Water service is temporarily off to nine complexes on Nottingham Road in Avon due to a break in the water main associated with the town of Avon Nottingham Road sidewalk project. Repair crews are onsite and will stay until water service is restored, which is expected to be tonight (8/8). For more information, go to http://www.erwsd.org or call 970-476-7480.